Call it Fall or Autumn, I love the season when the leaves change color and the weather cools down a bit. Ofcourse this is a great opportunity to talk about seasons and learn the Urdu words for various colors. 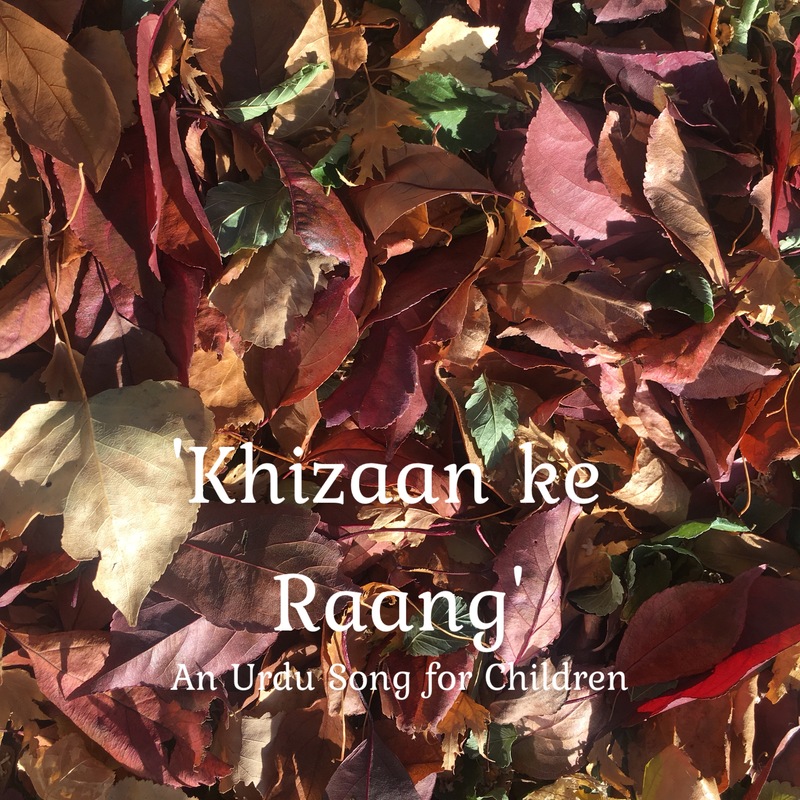 Zeynab and I shared this song about Autumn along with our many Urdu songs for children in our story time this week and the children loved it.So we are sharing the lyrics and tune with you all here. Enjoy singing and learning! You can watch the video above to learn the song. Through this song you can teach the children the urdu words for colours like Red, Brown and Yellow. You can also talk about nature and the urdu words for trees, leaves and the wind. There can also be discussion about why we like to eat warm food in autumn and some dishes for the children and their urdu words. We hope you really enjoyed this song. Do join our weekly Urdu Story Time on Facebook where we join you live every Saturday. Timings and details in the image below. There will be many more fun Urdu songs for children.